LA Cookie Con & Sweets Show is LA’s biggest pastry party, that will be held on Sunday, January 25th 2015 @ Pasadena Convention center. LA Cookie Con will offers to all foodies an entire day of pastry-themed party including cookie decorating classes, kid fun zone, VIP lounge for celebrities, trendsetters and social media influencers.There also will be a Celebrities Cookie Eating Contest, to raise money for charity. 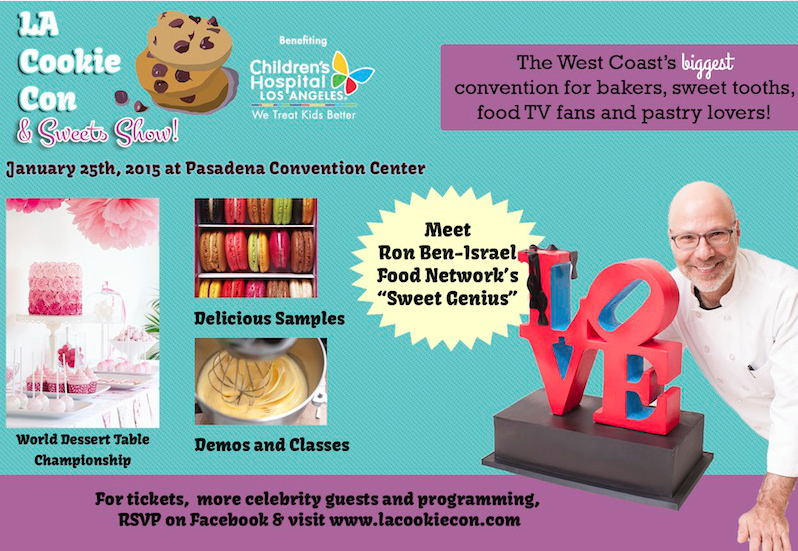 Tickets for LA Cookie Con & Sweets Show will go on sale starting December 1st 2014.